Can you even imagine of not getting salary for a month ?? Ramesh Rakshale a Marathi lecturer who has been fighting for the past 11 years running from pillar to post just to get his basic rights .After he was dismissed allegedly for complaining about corruption and doing the right thing. Ramesh was working as a Marathi lecturer since 1991 in the Independent Pre-University College in Santhapura, located in Bidar district. 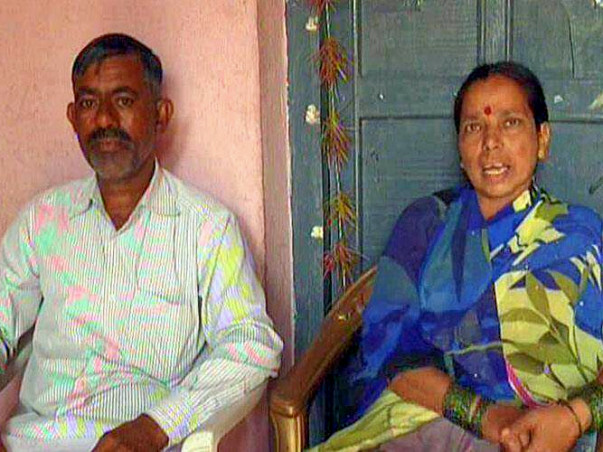 Sometime in 2006, the lecturers realised that the college Principal Belthar Shivaraya, had withheld their provident fund and insurance money. When, he complained to the management, they did not take any action,” Ramesh alleges. Ramesh went to file a complaint with the Santhapura Police but the Sub Inspector there refused to file a complaint. “In March 2007, after local media reported the news of my ordeal, an FIR was filed. The Principal Shivaraya and the Sub Inspector, MA Mulla, were suspended from their duties,” says Ramesh. Recently Ramesh lost all hopes and requested for Mercy killing to the President of India . Ramesh was the sole bread winner in the family and has dependent son ,daughter and wife . His son Vivekananda is bright student who has done exceptionally well inspite of all these problems around him .But is unable to join engineering without money for admission. 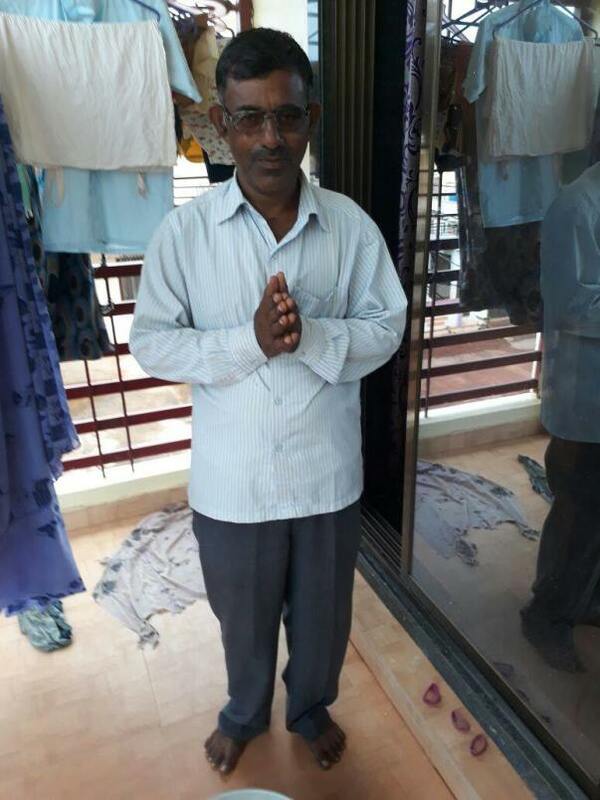 Ramesh has been receiving salary every month now and he is back to lead his normal life, and he is also been assured that he will get all arrears of 11yrs salary. He is very thankful to each one of you who has contributed and helped him in this campaign and given him tremendous support. His family will always be thankful for all of your generosity. Thanks again all for making Ramesh Rakshales story a happy ending!!! I will be closing this campaign. Thanks again for all your support . 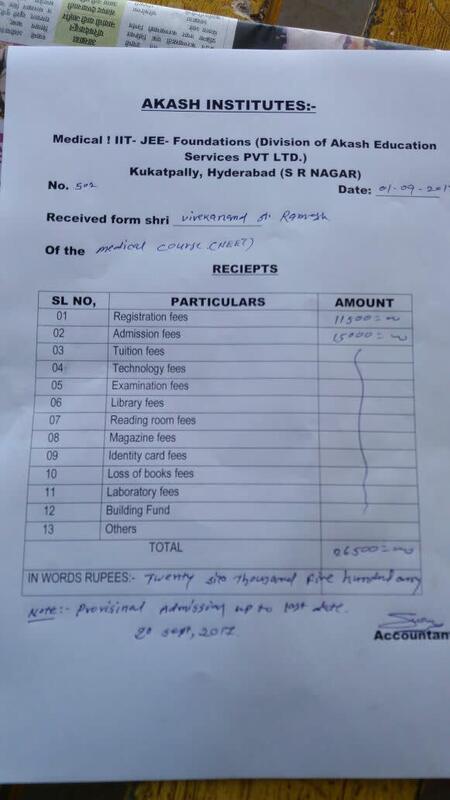 I have attached the receipt of his sons (Vivekananda's) college registration. Ramesh is a much happy man today because of all your support!!! There have been many anonymous donors who have mentioned that they would like to provide more support in various other ways. Since when you mark yourself as anonymous while contributing I dont get your email id. I can just see your messgaes. So if you want to support feel free to either reach out to me, Milaap, Ramesh Rakshale (7406836020) or Basvaraju (Ramesh's Collegue 9880854557) anytime. His daughter has discontinued education long back so any support would definitely help her. And also please keep spreading the campaign so that it reaches out to more people and more people help ramesh in his fight !!! I have added Ramesh Rakshales latest photo.He wanted to thank you all for your generous support !!! With all your support he could finally register his son to the medical college. Which itself is a big achievement. Again a big shout out to all you wonderfull people without each one of your support this could not have been possible !!! More power to you all. I shall keep posting more updates as and when I get them. If required you guys can personally talk to Ramesh too this is his number +917406836020 he speaks Hindi and Marathi. And this is his friend Basvaraju's number +919880854557 who has stood has been a back bone to Ramesh. (He speaks English, Kannada, and Hindi).